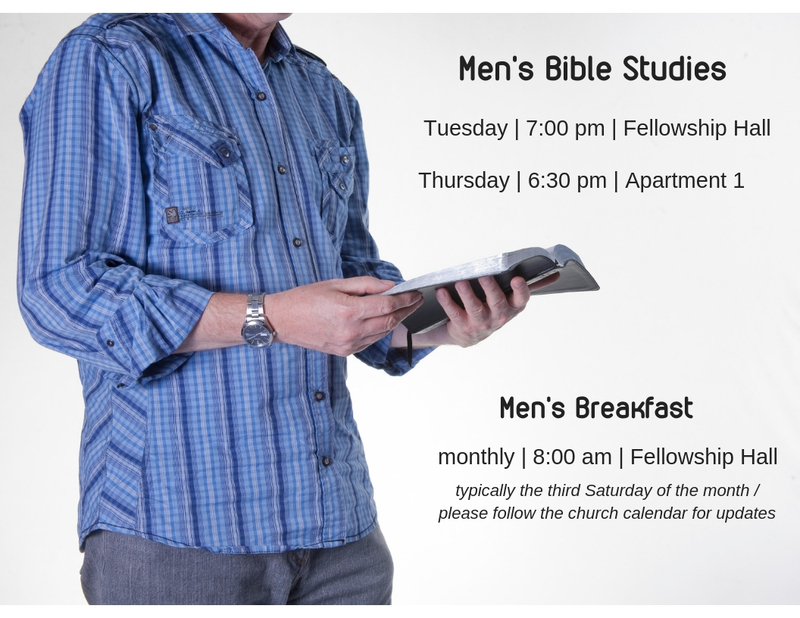 Men’s Ministry exists to develop Biblically-grounded men of faith who lead their families in worship, explore the Word of God in study, reach out to men in the community with the Gospel, help hold other men accountable to God’s standards. Activities and events throughout the year include weekly Bible Studies, monthly prayer breakfast, retreats and other opportunities to build relationships across the community. A God-given desire to serve in our ministry, as well as a passion for helping men connect with God and other men.